Crews made excellent progress today moping up hot spots and re-enforcing fire line put in Saturday. 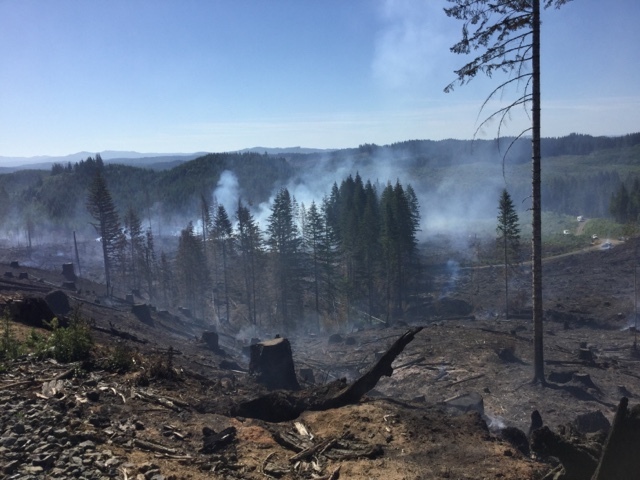 An engine from the West Oregon district will monitor the fire over night and local crews will resume the hard work of moping up hot spots tomorrow. Photo of the fire on 6/14/2015. Provided by K. Niles.